This September 14th will be our first Green Game Day of the Fall 2013 semester. UConn’s Football team will be playing Maryland at 7:30 PM and volunteers are needed to help promote recycling. Volunteers will be picked up at approximately 2:00 PM at Sprague Hall and brought over to Rentschler Field. They will be provided FREE football tickets to get into the game. Volunteers will be paired up and assigned a parking lot to collect recyclables from and educate the fans on the importance of recycling. Volunteers will be provided dinner before entering the stadium. The bus will leave at half time for those who do not want to stay the entire game. Other student buses can be taken back to UConn for those who wish to stay for the second half. Participating in Green Game Day is a great way to meet other students interested in environmental outreach and it is a very rewarding experience. Tailgaters greatly appreciate the hard-work of the volunteers and it serves as an opportunity to inform others on how to be more mindful of the environment. It is events like Green Game Day that has set UConn as a leader of sustainability and has enabled the university to earn a #1 ranking for Sierra’s 2013 Cool Schools Survey. Please contact Emily McInerney to sign-up. Our intern Katie, just moved into campus apartments instead of a traditional dorm. Consequently, she’s been researching how to live more greenly, including cleaning. Here is the result of her research! In honor of our preparation for Football Green Game day in the upcoming weeks (Add it to your Calendar – 7:30PM September 14thn at Rentschler Field), here is some information about how to “green” sports. The NRDC has put together a report about ways that College Sports are becoming more sustainable, including highlighting UConn’s Burton Family Football Complex and Shenkman Training Center, which was the first LEED Silver football training facilities in the US, the first LEED certified facility in the NCAA, and the first LEED Silver building at UConn, which led to our LEED Silver policy for all new construction on campus. The NRDC also has a report about how professional sports can be sustainability leaders that you can check out! Right now, as you read, the Green Sports Alliance Summit is going on in NYC, with stakeholders meeting with sustainability leaders to collaborate on how to make sports greener. Just because you’re at a sporting event, doesn’t mean you get to ignore the environment. For today’s focus on sustainable programs at UConn, we look at the new Water Reclamation Facility on campus. 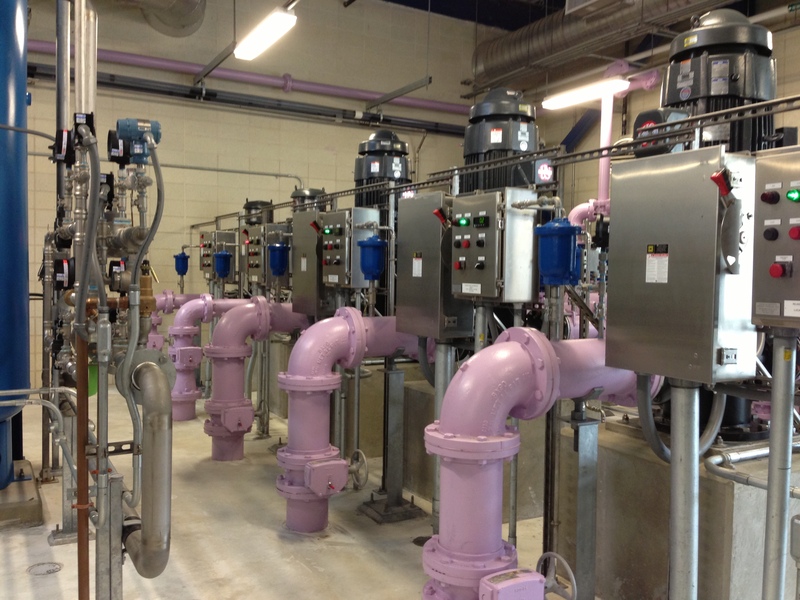 Here’s a great write up of how the water reclamation facility works, as well as a repost of Corinne’s visit to the Water Reclamation Facility. UConn’s recent achievement in reaching the #1 ranking in this year’s Sierra Club “Cool Schools” Survey is, without a doubt, a success to be celebrated by the entire campus community. The sustainable practices implemented by faculty, staff, and students, as well as generous donations to the University’s Campus Sustainability Fund, have supported green initiatives here at UConn. However, as one of the newest at the Office of Environmental Policy, it especially excites me to have been a part of such an outstanding accomplishment within my first year as an intern. I can remember the meeting when the previous sustainability coordinator, Jen Clinton, began assigning sections of the Sierra survey for us to review, fact check and update. There was a collective groan that went through the room, and little did I know what I was about to get myself into. The subsequent process of reviewing our designated sections, which took several months, was often stressful. Meeting deadlines while balancing other tasks assigned to us in the office, including planning and running events such as Green Game Day, also proved to be a challenge, and when the survey was finally submitted, all of us could breathe a little sigh of relief. Still, the long wait for the Sierra club to review our survey and respond to us with our ranking was nerve-wracking. A majority of the other interns had been through the process of submitting the survey before, but although it was my first year, I was able to share their anticipation. We all wanted to see the fruits of our labor pay off, not only because we had devoted hours of hard work, but because we knew UConn deserved nothing but a high ranking. The feeling of excitement that struck us all when we received the great news was indescribable. We were extremely proud of one another, and proud to say that we belong to such a “cool school”! If we were able to achieve this kind of success during my first year at the OEP, I can only imagine the other accomplishments that lie ahead for the University. Congratulations, Huskies! We’re about to have thousands of students move in to UConn’s Storrs campus at the end of this week, because classes start on Monday. This week’s sustainability roundup is looking at some of the ways to stay green during move-in. George Washington University provides some great tips to start off green in the dorms. Once you’re on campus, you will probably be walking or biking a lot (which is super green! ), so check out the safety guidelines from UConn Police. The Guardian presented an interesting article this week about how much energy wireless computing and keeping everything in “the cloud” uses. Although getting rid of excess paper usage through cloud computing is great, it’s not an unmitigated good – it still uses energy. Don’t forget UConn’s recycling guidelines as you’re unpacking all your stuff! Remember, with single stream, ALL your recycling can go in ANY recycling container, even if it’s labeled otherwise. There are several ways to measure energy efficiency. Observing trends in the consumption of domestic and chilled water, electricity, steam and greenhouse gas emissions are among the various approaches. Imagine having the technology on campus that would allow anyone to access the energy statistics for a particular building on campus at any time of the day. Anyone would be able to see how many gallons of water were consumed within the past hour, the past day or even the past week. Or, you could find the kilowatt hours of electricity used earlier in the week, and then compare the data figure to the day prior. The University has installed a new form of green technology into Oak and Laurel Halls that will bring this idea to life. The new technology is called an energy dashboard. It is an interactive kiosk that allows anyone to interact with various widgets on the touch-screen display. By touching any of the widgets, students, staff and faculty will be able to explore real-time energy usage statistics, as well as information about the building’s sustainable features and a green campus tour. Alone, the energy dashboards do not save energy. The system displays energy statistics that are in turn left to be interpreted and acted upon by the campus community. For instance, if Oak Hall were to experience a significant spike in water usage from one day to another, it would be the responsibility of the students and staff to be mindful of the amount of water they consume. Therefore, the University hopes to ultimately instill behavioral change. A crucial part of this process is education. The energy dashboards can be incorporated into the classroom environment as professors include them in their curriculum. They can be used as a classroom tool for a variety of courses ranging from Environmental Science, Ecology Agricultural and Resource Economics and Conservation Biology to Civil and Environmental Engineering and Natural Resources. By drawing from actual, real-time data, professors can supplement their lesson plans by having their students analyze certain energy statistics and create their own solutions. For example, if a building experienced an increase in electricity usage, students would be tasked with deducing a probable solution. At UC Berkeley, the myPower program was launched as a comprehensive program to reduce the amount of energy the campus consumes. It is also a means to empower the entire campus community to take smart, simple energy saving measures that will shrink environmental footprint and save money. In return, the money saved is sent back as funds for teaching and research purposes. The myPower program also marked the beginning of an online energy dashboard that allows anyone to see how much electricity is being consumed in a particular building at that very moment. The energy dashboard extends to fifty-seven buildings and is a part of the university’s new initiative to reduce energy use. UC Berkeley, like UConn, aims to instill behavioral change in the campus community by launching the myPower program. In turn, case studies and energy surveys have been initiated to highlight how the energy dashboards complement existing sustainable initiatives. UC Berkeley, since the implementation of the myPower program, has experienced high annual savings, enhanced research opportunities and a considerable educational value. Energy dashboards not only serve as an extraordinary educational tool, but they raise awareness about our environmental impact. By making real-time energy statistics available to the community, both students and staff will be able to apply conservation tips to their own lives and ultimately make a difference in reducing the size of the University’s carbon footprint. I’ve been doing a bit of traveling this summer. I visited family in various places in Ohio, and next I’m heading to Chicago at the end of the month for the American Political Science Association annual meeting. As I’ve made my travel plans, I wondered whether it was better to fly or drive. I decided to investigate! I found a calculator online to answer my question. Here’s my scenario – my husband and son were going to the beach in North Carolina with my in-laws for a week. They needed a car while there, so they drove. I was then meeting them in Columbus to visit with my family, and then we were driving up to Cleveland to visit some friends and more in-laws, then driving back to Connecticut. I was originally planning to fly down to Columbus, but then I thought about how much carbon a plane emits. Would it be greener if I drove myself to Ohio? Using the above calculator, I figured out that with our backup car (which only gets about 26 mpg on the highway), driving alone, it would be slightly more environmentally friendly to fly to Columbus. However, the big carbon savings comes when I join my husband and child and we do all the rest of our driving in one car. If I brought our other car down, we would have to drive two cars back up to Connecticut – super wasteful! Heading to Chicago later this month, it’s much better to drive than to fly with three people in the car! Shout it from the green rooftops (like the one on Laurel Hall), UConn ranked #1 in this year’s Sierra Club “Cool Schools” survey on America’s greenest colleges and universities! Since ranking in the top 50 in 2010, UConn has gone nowhere but up, recently climbing from 16th, to 5th and now 1st. This success can be attributed to the collaborative efforts of many departments on campus, support from the state of Connecticut, individual and corporate donors to the Campus sustainability fund, as well as student involvement through groups such as EcoHusky and EcoHouse. We are working hard to promote a culture of sustainability at UConn, so that sustainable behavior carries on into all facets of everyday life! More than 40% of our research faculty does work that benefits the environment. UConn offers almost 600 classes related to sustainability and has recently launched a new Environmental Studies major which will help bridge the gap between scientists and policymakers through interdisciplinary course work. Here at UConn, we not only want to make an impact on today’s world, but we also want to prepare the next generation to lead us into the future! Future investments are important, but we also want to make an impact today. Since 2005, UConn has reduced its water use on the main campus by 15% and has recently opened a reclaimed water facility that can repurpose water for heating and cooling. UConn also opened a composting facility in 2010 which reduces greenhouse gas emissions and volume of waste as well as providing quality compost for the community. A new microgrid is being installed at the depot campus and is expected to be operational by June of 2014. This grid is not only a more sustainable power source, but will help the university and near-by communities deal with severe weather such as the super storms we have seen in the past few years. 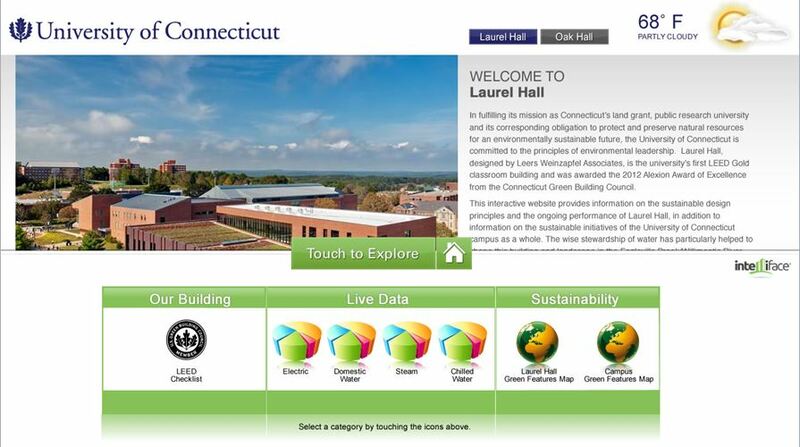 UConn has also been very committed to green building by constructing LEED certified buildings (it’s University Policy for all new construction to be LEED Silver or better) and retro-commissioning and re-lamping many of our buildings. My personal role as an intern at the OEP doesn’t often bring me close to these incredible technological advances or large investment projects. My focus is the students and engaging the community in environmental awareness. In that area, UConn has also excelled through a variety of annual and special events. In the fall we work with ResLife to run EcoMadness, which is a month long competition in which students strive to reduce their energy and water usage by as much as possible. We also work with the Athletics department in order to put on three Green Game Days throughout the year (one football and two basketball) where we encourage fans to recycle and try to make the games carbon neutral if possible. In the Spring we run a sneaker collection drive where donated sneakers are shipped to needy children and teens in Africa through the student group Kicks for Africa. Our biggest awareness event of the year is Earth Day Spring Fling where a variety of vendors come to campus and showcase how their businesses are sustainable. Dining Services is also a huge contributor and they bring in local food for students and community members to enjoy as they check out the vendor tables. From working on the survey myself, along with my fellow interns and sustainability coordinators, I can say that this accomplishment was no small feat. It took hours of compiling research, fact checking previous submissions, and updating old information. Getting the metrics for some categories was quite a chore as well, but we were determined to submit the most complete and accurate information available. It was often difficult to balance working on the survey while still keeping up with our other tasks such as coordinating and running events. This was especially true because the spring time is our busiest season. All in all, it was a rough journey, but also gave us interns an opportunity to expand our knowledge of what happens here on our campus both in the public eye and behind the scenes. Despite many challenges, our hard work paid off and we are now so proud to be #1. Thanks especially to all of last year’s seniors who held off spring fever in order to accomplish this monumental task! Great job UConn, keep up the awesome work! Góðan daginn! My name is Emily McInerney and I am an OEP intern majoring in Natural Resources. I will be entering my junior year of college this fall semester. 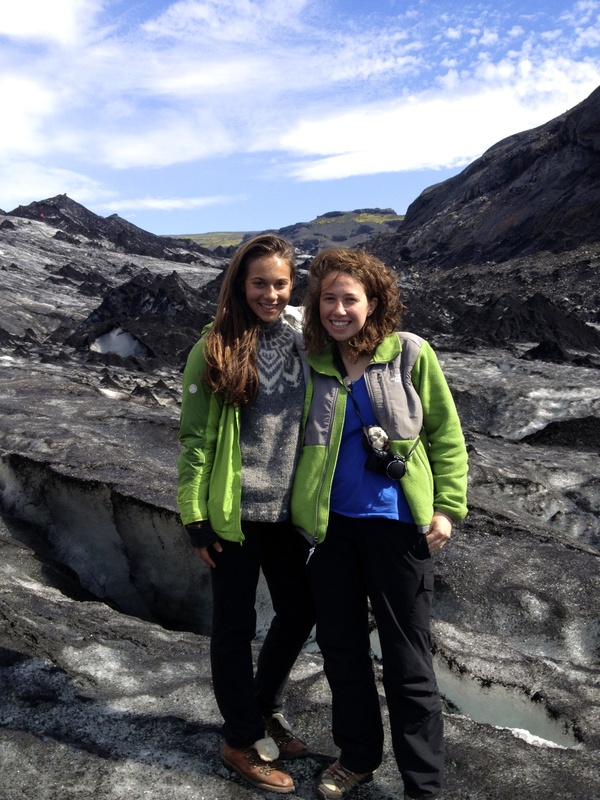 I recently spent seven weeks of my summer studying abroad in Iceland. When I first told friends and family of my plans I was met by confusion and concern. Mostly I received the astonished, “You really want to spend your SUMMER in ICEland?” or “Isn’t that where the sun never goes down? 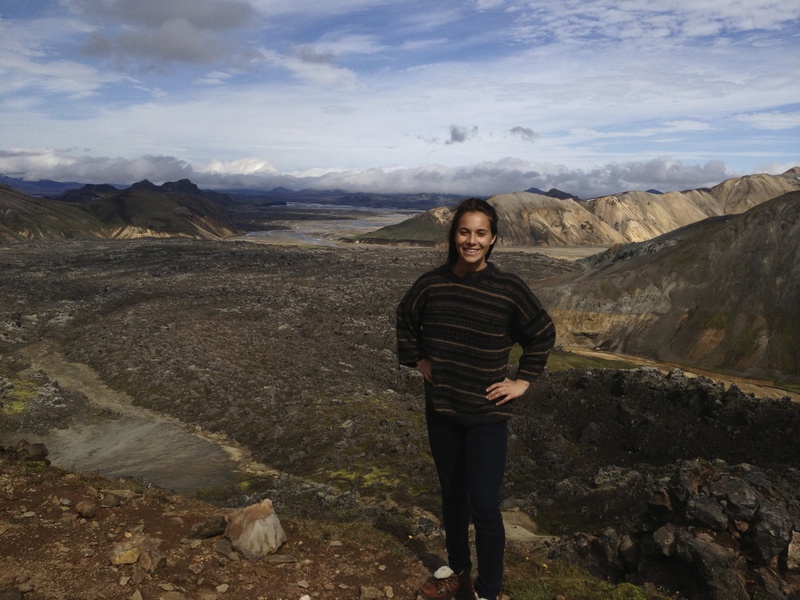 How will you sleep?” Well, I decided it was worth forgoing a tan because, as an environmentalist who aspires to an environmental career, Iceland is the perfect place to advance my education. 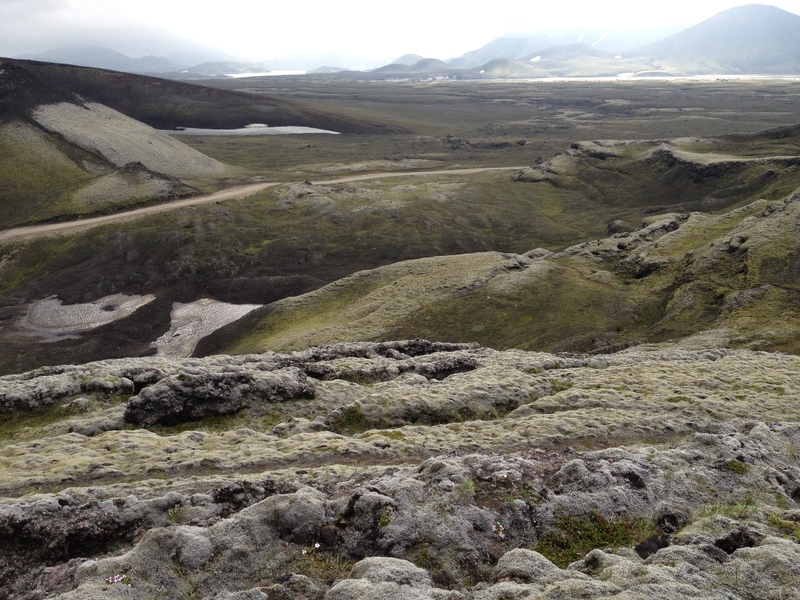 Its geographic location and topography allow for the utilization of geothermal and hydroelectric energy and set Iceland at the forefront of renewable energy with the potential to lead the world toward a more sustainable energy budget. Iceland is located on the Mid-Atlantic Ridge where it lies on the rift between the North American and Eurasian tectonic plates and is considered a geologic rarity with glaciers and volcanoes creating a uniquely contrasting landscape. Beginning in 1999, the Icelandic government took initiative and began creating a clean energy Master Plan that described a list of prospective hydropower and geothermal project alternatives and ranked them based on their environmental, economic, and social implications. I spent much of the trip further researching the highly controversial Kárahnjúkar hydropower plant (constructed prior to the implementation of the Master Plan) in northeastern Iceland. 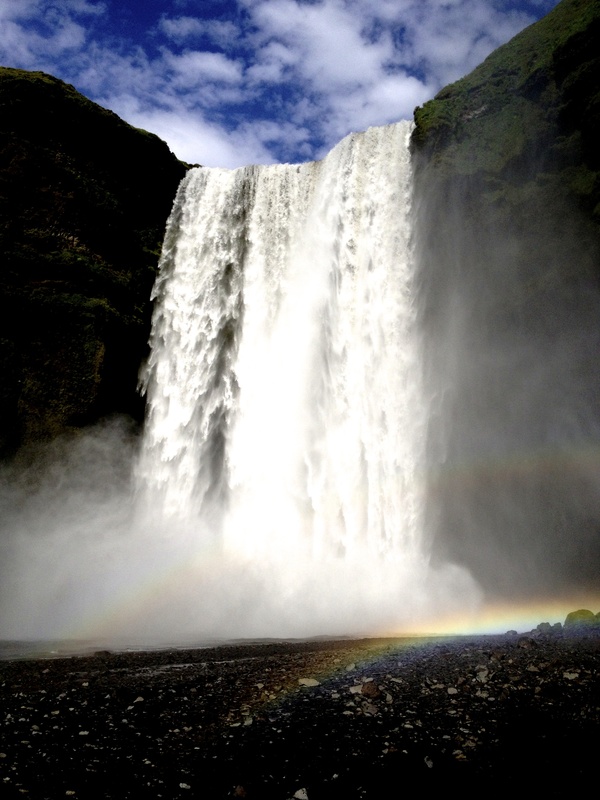 Hydropower constitutes more than 70% of Iceland’s electricity. In 2010, only 42% of hydropower available for generation had been utilized. There is therefore still opportunity for the expansion of hydroelectric energy. Hydropower is constantly replenished by the hydrological cycle and produces electricity through the process of harnessing running water. Its efficiency can be as high as 80% but it does not come without consequences. So while hydropower is, of course, better for the environment than coal, oil, and natural gas, especially since it is not a source of greenhouse gas emissions, it still has negative environmental impacts. Hydropower requires the construction of dams and reservoirs, which can greatly transform the natural hydrologic patterns and disturb the geologic features and cycles of an area. 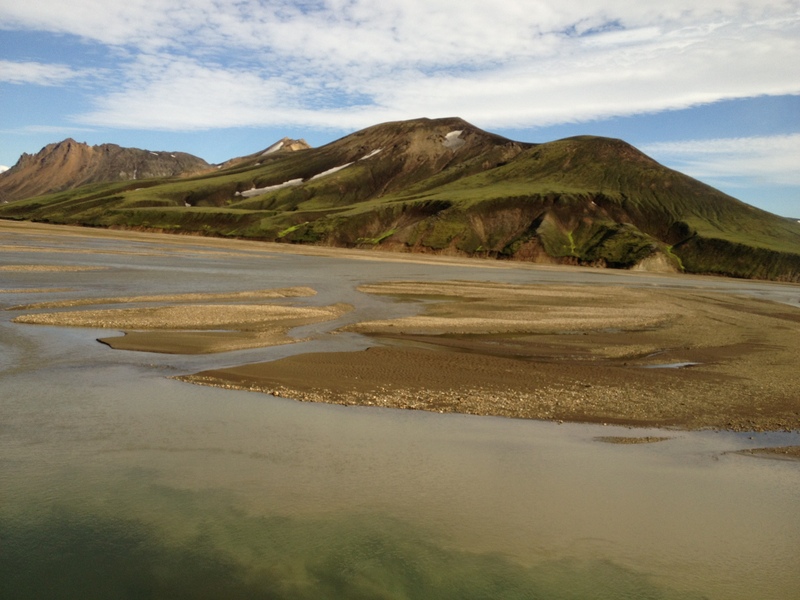 Damming a river alters the flow of water, leading to sediment buildup upstream and thus erosion downstream, which therefore causes changes to the river channel and watershed area morphology. The altered water flow also results in a change of downstream water quality. This includes nutrient composition, temperature, and turbidity of the water and will thus affect which species the waterway is habitable to. 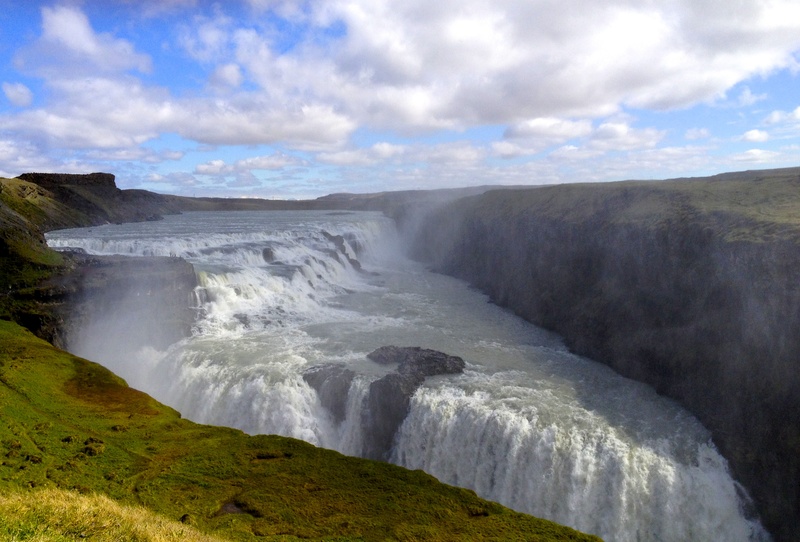 For dams located near areas of high seismic activity, which is very common in Iceland, special consideration needs to be given to the design, because any tectonic activity could greatly damage the dam and cause significant changes to the movement of water in the area. The Kárahnjúkar hydroelectric project raised public concern because of the environmental impacts listed above and because it provided electricity to the American greenhouse-gas-emitting aluminum smelter company, Alcoa (counter intuitive, right?). Many Icelanders were uncomfortable with the development of the power plant because it is also located within the bounds of the Kringilsárrani nature reserve, recognized for its geologic formations and thus identified as a protected area. The National Planning Agency initially rejected the plan for the project, citing that the Environmental Impact Assessment did not provide sufficient information, but the Minister for the Environment approved it four months later. I contacted Herdís Helga Schopka (the Environment and Natural Resources Ministry’s expert who worked on the development of Iceland’s Master Plan) and inquired how, given her experience in the process of ranking the energy alternatives, she suspected Kárahnjúkar would have compared to the geothermal and hydroelectric projects evaluated in the Master Plan. She explained that the purpose of the Master Plan is to try and eliminate biases by putting it through a ranked process and that it is difficult to make an impartial decision when there is no price tag put on nature. Kárahnjúkar was essentially built because energy development coupled with the construction of aluminum factories is perceived to have many economic benefits. Therefore, there is less motivation to save the land- without monetizing the environmental costs they cannot outweigh the economic gains. She reasoned that while the power plant may have been built based onits Environmental Impact Assessment (EIA), it would not have been constructed if it had been analyzed and ranked in the Master Plan. I then followed up with Brynhildur Davidsdottir (a Program for Environment and Natural Resources Studies professor at the University of Iceland) for a second opinion. She concluded that there must be a balance between the three dimensions (environment, economy, and society) to achieve sustainability. Weak sustainability must have positive movement overall but it allows for tradeoffs. Strong sustainability has positive movement for all three dimensions. For Kárahnjúkar, it was easy to rationalize the economic value of the power plant as outweighing the environmental degradation because there was no ranking system applied to the EIA. Therein lies the tradeoff and thus it characterizes weak sustainability. The Master Plan, however, uses multi-criteria analysis and gives all three dimensions numerical value and thus portrays strong sustainability by creating a platform for comparison. This concept can be applied to UConn’s Climate Action Plan (CAP). In 2008, UConn’s president signed the American College and University Presidents Climate Commitment (ACUPCC). This committed the university to carbon neutrality by 2050. Unfortunately, UConn doesn’t have the same access to renewable resources that Iceland does. Instead, the University created the CAP to organize mitigation and adaptation strategies for climate change and to help advance sustainability on campus. The CAP’s mitigation strategies are organized into three groups: energy, sustainable development, and transportation. Each group lists tactics for improvement and describes their estimated emissions reduction, first cost, rate of investment, and time of implementation. These tactics are then ranked as either limiting, good, or excellent. Although not a numerical ranking as seen in the Master Plan, the CAP utilizes a similar technique to compare the environmental benefits in terms of carbon dioxide reduction to the cost of the project or program. The social aspect is not directly applicable to the CAP and was not included. The CAP can thus be said to characterize strong sustainability. UConn recently received the number one ranking for the Sierra Club’s 2013 Cool Schools Survey and this can largely be attributed to how UConn has strategized and implemented measures for achieving carbon neutrality and its technique for assessing the feasibility of its greenhouse gas reduction measures. What I found supremely interesting about Iceland is that, despite having the capacity to run the entire country on renewable energy, it has a horribly large carbon footprint. This is because the general public does not understand what it means to be sustainable. They have plenty of warm water so they take long showers. They drive everywhere, even down the block for a quick coffee, because, to put it simply, they can – it’s socially acceptable. Here at UConn, we are working to educate students, staff, and faculty on the importance of being environmentally friendly. This is done through the many events we hold throughout the year: EcoMadness, Earth Day Spring Fling, CIMA, and much more. This new number one ranking should give students pride in their school and will hopefully help us continue to decrease our carbon footprint.